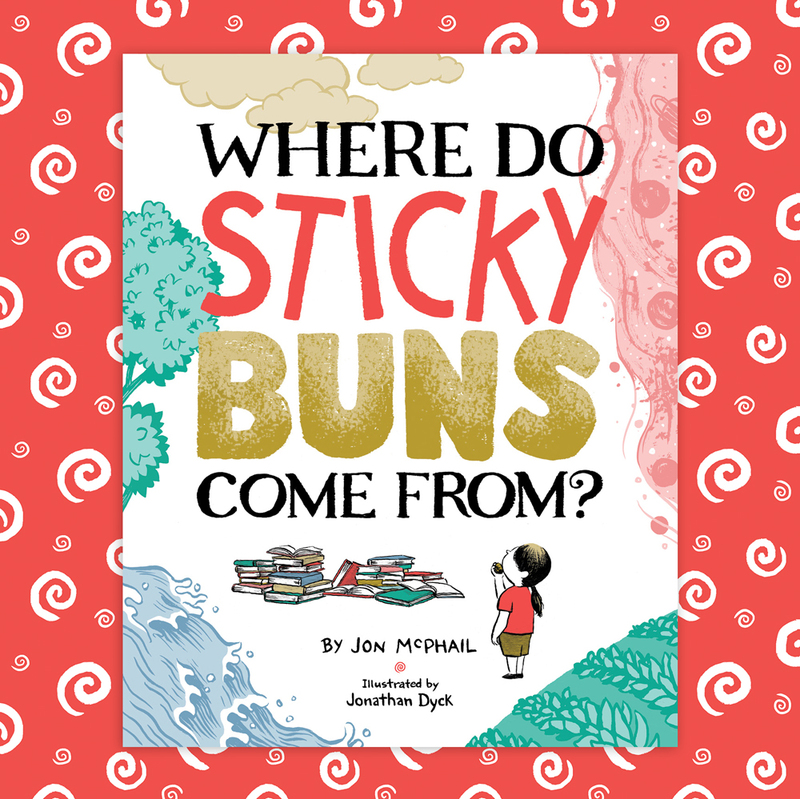 “Where Do Sticky Buns Come From?” is available starting December 13th, through McNally Robinson Booksellers (Grant Park), Amazon.ca, Whodonit Books, and in store at Jonnies Sticky Buns (941 Portage Ave.) Pre-Order Now! 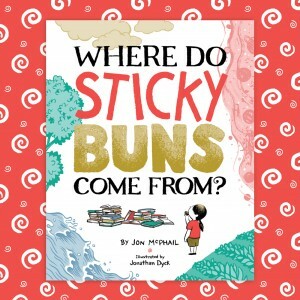 Through Amazon.ca or whodonitcanada.com About the book: “Where Do Sticky Buns Come From?” explores where baking DOESN’T come from, and has the aim to inspire kids into the kitchen. The book starts with a girl and her father visiting their local bakery. Soon they begin to wonder where her favorite treats come from and a series of absurd and fanciful possibilities gets played out. In the end, the characters are inspired to try baking for themselves, while readers are given a recipe to make their very own cinnamon buns!